Shell & Slate Software Corp. 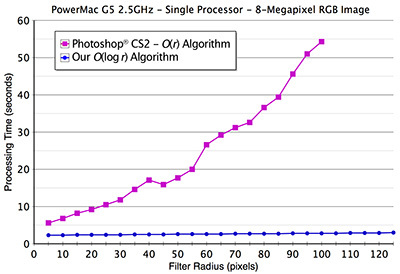 Median filtering is a cornerstone of modern image processing, and is used extensively in smoothing and de-noising applications. The fastest commercial implementations (e.g. 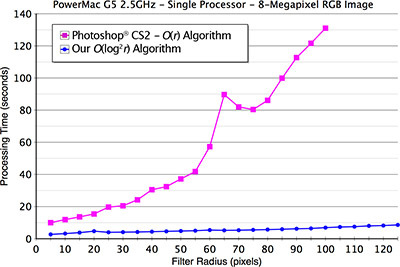 in Adobe® Photoshop® CS2) exhibit O(r) runtime in the radius of the filter, which limits their usefulness in realtime or resolution-independent contexts. We introduce a CPU-based, vectorizable O(log r) algorithm for median filtering, to our knowledge the most efficient yet developed. 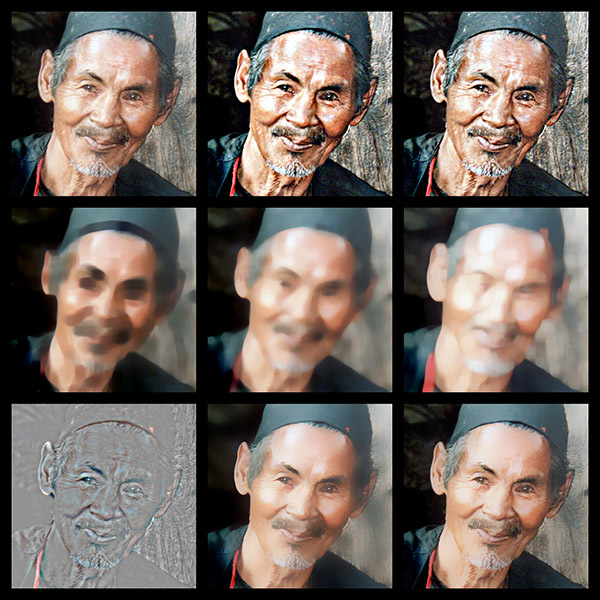 Our algorithm extends to images of any bit-depth, and can also be adapted to perform bilateral filtering. On 8-bit data [shown at right], our median filter outperforms Photoshop’s implementation by up to a factor of fifty. Middle row: Filtered at 20th; 50th [median]; and 80th percentiles. Bottom row: “High Pass” using median; bilateral smoothing filter; logarithmic bilateral filter. The Bilateral Filter. From left: 8-Bit Source Image; Linear-Intensity Bilateral; Logarithmic-Intensity Bilateral. Center matches Photoshop's Surface Blur; at right is our enhanced algorithm. Note improved lip color and hair detail. 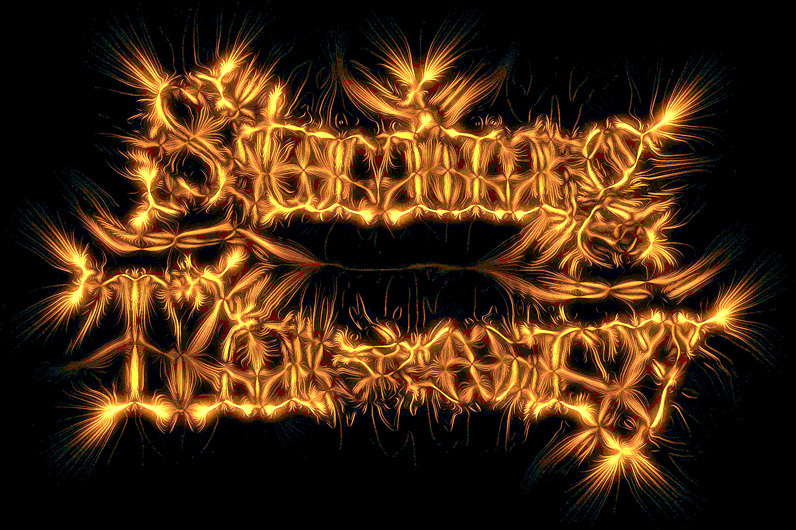 "String Theory." A creative algorithm by Kai Krause, based on the Weiss Median with realtime-controllable parameters. This work is protected by US Patent #7,010,163 and Patents Pending. Adobe and Photoshop are registered trademarks or trademarks of Adobe Systems Incorporated in the United States and/or other countries.